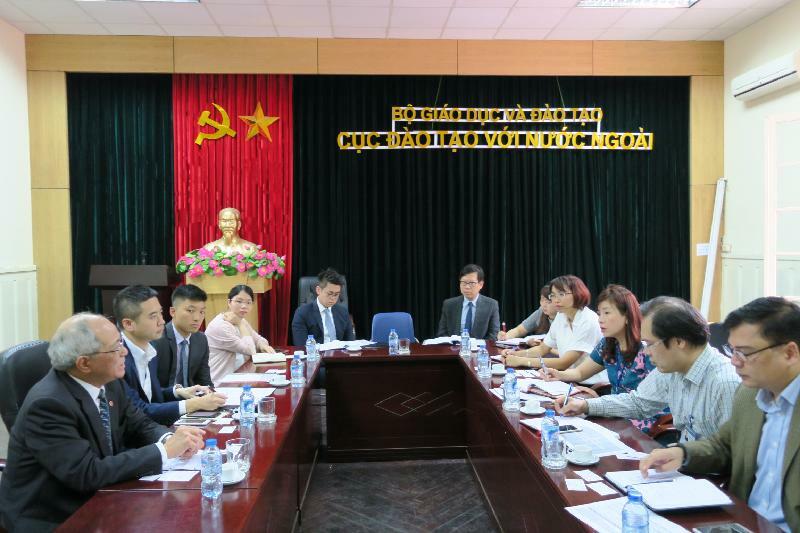 Officials from the Education Bureau met with the Ministry of Education and Training of Vietnam at a bilateral meeting in Hanoi, Vietnam, today (April 27). Both sides agreed to follow up and work towards the objective of launching the Hong Kong Scholarship for "Belt and Road" Students (Vietnam) in the 2018/19 academic year, with a view to attracting outstanding Vietnamese students to pursue undergraduate studies in Hong Kong. "The new scholarship scheme can further internationalise the Hong Kong higher education sector. The presence of students from all over the globe can enrich campus life and broaden the horizons of our local students. At the same time, the scholarship awardees can act as ambassadors to strengthen exchanges and people-to-people bonds between Hong Kong and Vietnam," said the Secretary for Education, Mr Eddie Ng Hak-kim, in Vietnam. Mr Ng also expressed gratitude for the generous donation pledged by the Chinese General Chamber of Commerce to support the scholarships and bursaries for Vietnamese students. 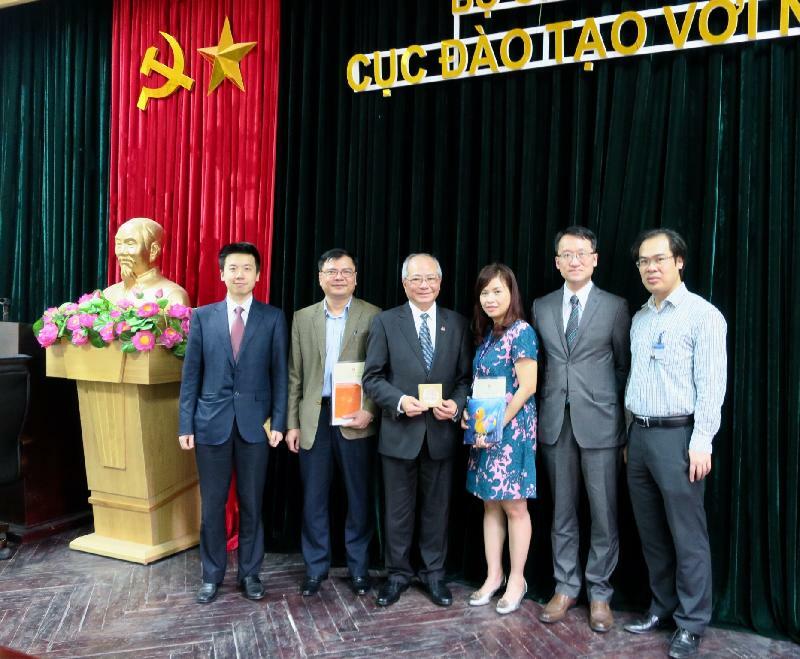 In the afternoon, Mr Ng visited the Vietnam National University (VNU), Hanoi, which is ranked first in the country, to exchange views with its management on opportunities to promote research collaborations and student exchanges between VNU and the universities in Hong Kong. Mr Ng also visited the Foreign Language Specialised School to observe students attending class. The school is one of the three national gifted high schools in Hanoi and its foreign language curriculum includes English, Chinese, French, German, Japanese, Korean and Russian. Mr Ng invited the school to have more exchanges with Hong Kong secondary schools and even to pair up with them as sister schools.